Read anything about mediation and you’re likely to learn why it’s a better way to settle disputes than going to court. Mediation is faster, cheaper, fairer, less stressful and more private than a trial. But after 34 years of practice and 3,700 mediations, I have two personal favourites that seldom make those benefits lists. Mediation is today’s natural forum for advocacy. By advocacy, I don’t mean the grandstanding and browbeating that non-lawyers often associate with courtroom prowess. I’m talking about the art of persuasion, the ability to build a logical argument for your side and to defend it against both legal and common sense attacks. In our clogged and often inefficient court system, lawyers spend most of their time at trial fighting for an unpredictable and uncertain outcome. In the mediation process, a much higher percentage of lawyer's time (and fees) is spent advocating for their clients’ interests. Mediation gives participants some control over outcome. I love our legal system. It’s one of the great benefits of living in Canada. But taking a civil dispute, such as a personal injury matter to trial is like consigning your fate to half a dozen people pulled at random from a fast-food line-up. And judges may not be experts in the subject matter of the trial they are presiding over. Having been a lawyer, advocacy teacher and court-watcher for 30-plus years, I’ve seen several court findings that defy logic. In mediation, neither side wins everything—but at least each party has the option to get something. If any of my family members had a dispute, I’d strongly urge mediation over trial for this reason alone. 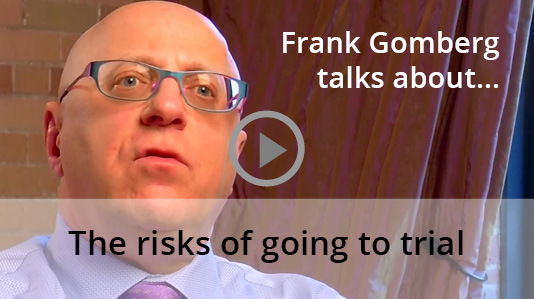 Frank Gomberg is a mediator of civil court cases and member of the Toronto firm, Teplitsky, Colson LLP. He was called to the Ontario bar in 1979, became a civil litigation specialist in 1990; began mediating in 1995 and restricted his practice to mediation in 2005. He is an Adjunct Professor of Trial Advocacy at Osgoode Hall Law School; has published several papers and articles and holds a distinguished peer review rating (4.4/5) at Martindale.com. See Frank Gomberg's expanded bio. 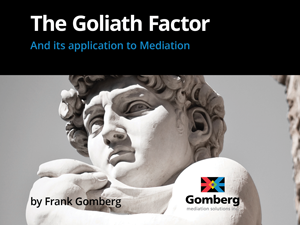 "...once the fight starts (or the case goes to Court), Goliath will “win” most of the time. However; the win may be at great cost to Goliath, a cost David should exploit in negotiating a mediated settlement." Read the paper. 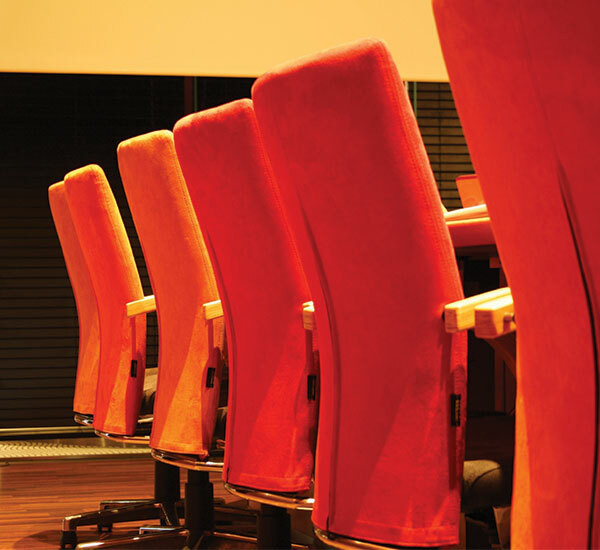 Check out our library of other articles on mediation.